sets the mood and keeps things going. 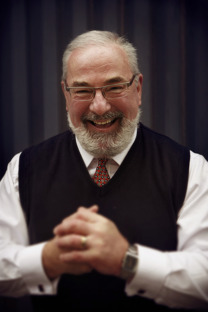 Colin Moon can add considerable value to meetings and events, with humour, intelligence and business expertise. 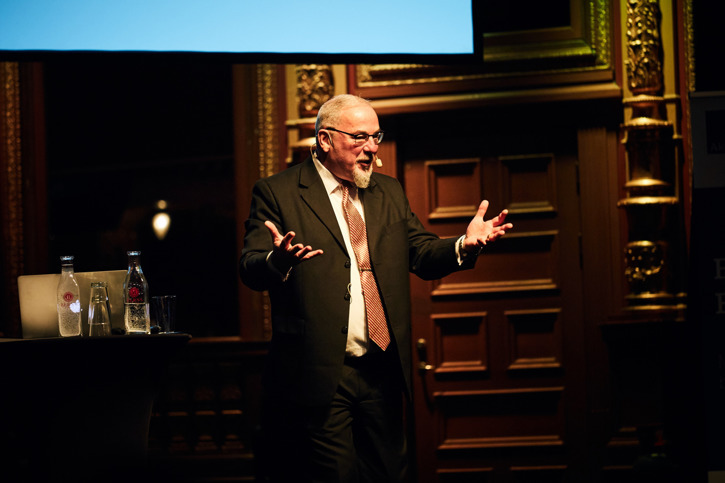 He is now very much in demand as moderator and facilitator at conferences and events for national and international companies and organisations. You can benefit from Colin Moon's extensive experience in the field of conference and events. He has a unique, relaxed and humoristic style which adds a warm, personal element to your conference. From the very start of the conference Colin, as moderator, is one of the most central characters. Breathing life, immediacy and personality into the proceedings is his trademark. I will attend meetings and be involved in the planning process (subject to diary availability). When asked, I will coach your presenters before the event to do a better job by giving them constructive feedback. I will help you and your colleagues clarify your conference objectives and help you achieve them. I will provide useful tips and workable ideas to make your conference successful. I will help speakers, panellists and other contributors on stage to present professionally and with greater impact. I will make you and your colleagues look good to the audience by adding a personal touch to the proceedings. I will involve your audience through appropriate interaction so they feel a part of the proceedings rather than mere bystanders. I will customise my role as moderator to fit your specific needs and exceed your expectations. and those of your audience. Vi har nu utvärderat konferensen i Paris. De reaktioner vi fått från kunder och Södras medarbetare stämmer väl med mina egna dvs att konferensen blev en stor framgång för oss. Många kunder har skrivit till oss och gratulerat oss, flera har sagt att konferensen är den bästa dom varit på! En stor del i framgången har du Colin. Både när det gäller förberedelserna och genomförandet är vi väldigt nöjda. Flera deltagare däribland Maria-Therese Hoppe har spontant sagt att Colin Moon är en av dom bästa konferencierer de har stött på! Så vi vill tacka dig för din insats och ditt bidrag till framgången!